The first dance. Such a special time at every wedding celebration. The bride and groom have just been announced into the ballroom for the first time as husband and wife. The dance floor is cleared and the couple takes center stage in front of all of their family and friends. They dance to their wedding song...a ballad that is so special to them as a couple. People cheer; others hug or hold hands; some cry...shedding tears of happiness. It is such a special moment and, as your wedding photographer, I am going to document this moment beautifully...capturing all the love, emotion and interaction between you and your spouse. I loved this picture of this couple’s first dance. The dance floor of their ballroom at The deSeversky Mansion and Conference Center was flooded with fog and the bride and groom danced their first dance as husband and wife in a cloud as their loved ones look on adoringly and applauded. 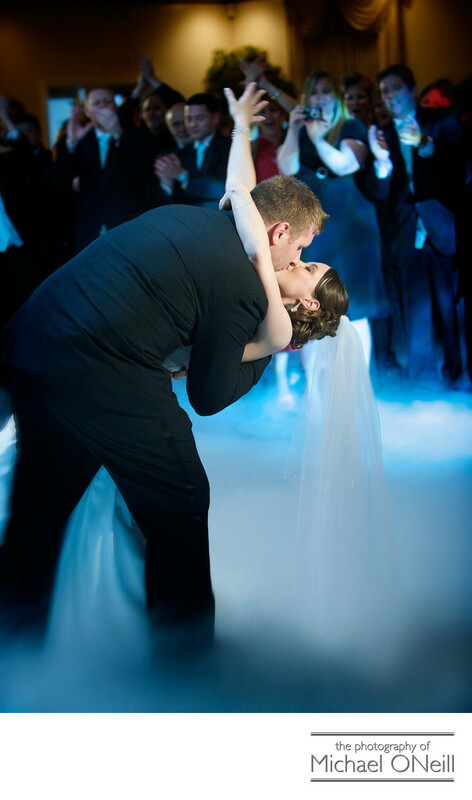 I would love to create a special first dance picture for you, too.